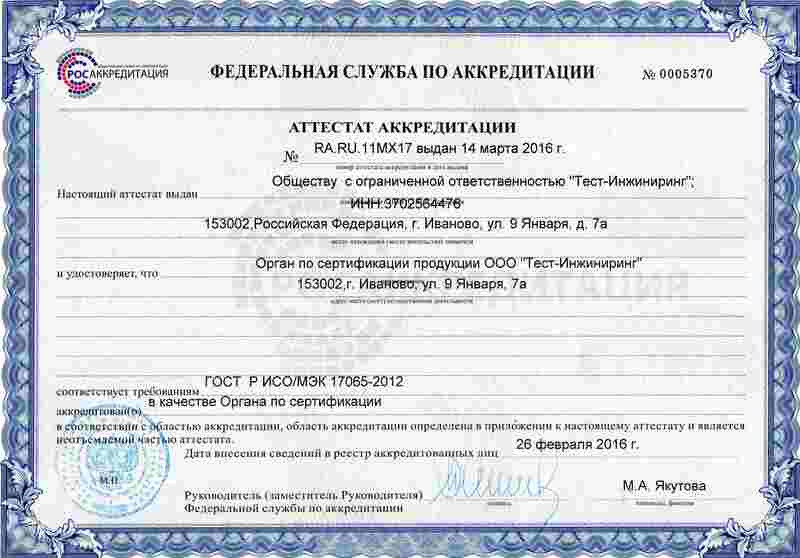 The certification body of products of «TEST ENGINEERING Ltd.» is accredited by Rosakkreditatsya (Accreditation certificate № RA.RU.11MX17) for work on assessment of conformity. We specialize mostly on the certification of technical devices used at hazardous production facilities (material handling equipment, industrial valves, pressure vessels, etc.). Cost of works on conformity assessment depends on many factors - the type, range of products, certification schemes, etc. The main works are carried out by experts of testing laboratory of «TEST ENGINEERING», which is also is included in the Unified Register of certification bodies and testing laboratories (centers) of the Customs Union.